And just like that, it’s 2019. Now that the turkey has finished, there are no more Christmas films on TV and the family-size box of chocolates is empty (except for the coconut ones), it’s time to make those all important New Year Resolutions. Don’t make promises of frequent gym visits; pledge to experience something new – the opera. Here’s why we think you should consider making opera your New Year resolution for 2019. Opera is a uniquely powerful and captivating storytelling medium and the world’s first multimedia experience. It combines richness in sight and sound and its narratives and themes do more than simply entertain. It gets into your psyche, makes you ask questions about yourself and challenges your preconceptions. Through the combination of music and theatre, we can identify with characters – when they feel love, despair, loneliness, fear, hope, jealousy – but then stop time and explore these moments further through music and movement, finding a language for the emotions it can be difficult to talk about, although they define our lives. Opera can make us see, feel and hear the world differently and remind us about being in touch with the things beneath the surface, the things that really matter. As the year of creativity and inspiration of self-expression, relationships and inclusiveness, 2019 is the perfect year to experience opera for the first time. What you may not know is that a lot of your favourite movies, books and plays are based on or are an opera. If musical theatre is your thing then the opera Madam Butterfly inspired the musical Miss Saigon. A Disney fanatic? 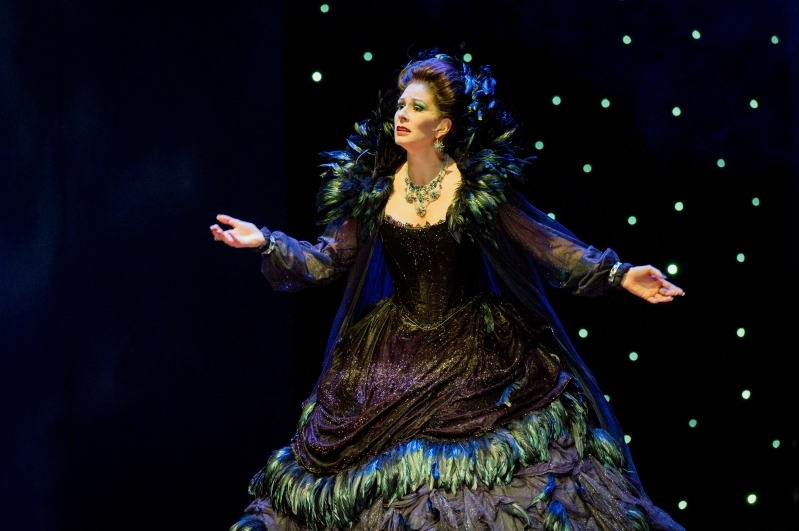 The opera Rusalka is based on the same Hans Christian Andersen story as The Little Mermaid. Love discussing history? The opera Un ballo in maschera is based on the real life assassination of King Gustav III of Sweden. Adore literature? Many literary classics have been turned into operas, such as War and Peace, which formed a part of WNO’s Autumn 2018 Season. Seeing the source material will make you feel warm, fuzzy, and smarter than everyone else, and you could learn something new and pick up a new hobby at the same time. Even if you attend the opera alone, the event itself is communal. It’s the perfect opportunity to meet new people. Two strangers sitting next to one another, watching an impressive spectacle, have quite the shared experience between them. You and your seat neighbour have plenty of conversation-starters – but not during the performance (obviously). WNO’s vibrant programming means that you can spend more time with family and save money. WNO offer £5 tickets to under 16s when accompanied by a full price paying adult (not available online) and £10 to people between 16-29. If you are a regular opera goer, take advantage of our subscription package. Book more than one opera in your chosen venue and save up to 25%. It also gives you the opportunity to see more of the world without leaving the comfort of your theatre seat. During WNO’s Autumn 2018 Season we transported audiences to 19th century Paris and Russia. However, if you would like to travel to see opera, WNO regularly tour to Cardiff, Birmingham, Milton Keynes, Plymouth, Bristol, Llandudno, Liverpool, Oxford and Southampton. What to see in 2019? Opera may be a centuries-old art form, but we think it’s never been a better time to be an opera fan. We have something for everyone during our Spring 2019 Season: Love, power and politics collide in the new production directed by WNO Artistic Director David Pountney of Un ballo in maschera, the enchanting The Magic Flute and our first revival of our critically-acclaimed production of Roberto Devereux. If you want to try opera for the first time, we recommend The Magic Flute. Our irresistible production transports you to a dream world where you’ll meet colourful characters, including a newspaper reading lion and a fish doubling as a bicycle. Combined with a witty story and Mozart’s sublime music, including the magnificent Queen of the Night aria, it adds up to an unforgettable opera experience for all ages. May your 2019 be happy, healthy and full of high notes.